The UTAH-400/DATA Router is a 64-port RS-422 router designed to switch machine control Data in conjunction with with the audio/video signal routing layers of a UTAH-400 Digital Routing Switcher System. Each 3RU frame carries a single switch card that serves 64 data ports. A high-speed data bus arrange-ment is provided to connect up to four frames together to form larger routers with up to 256 ports. 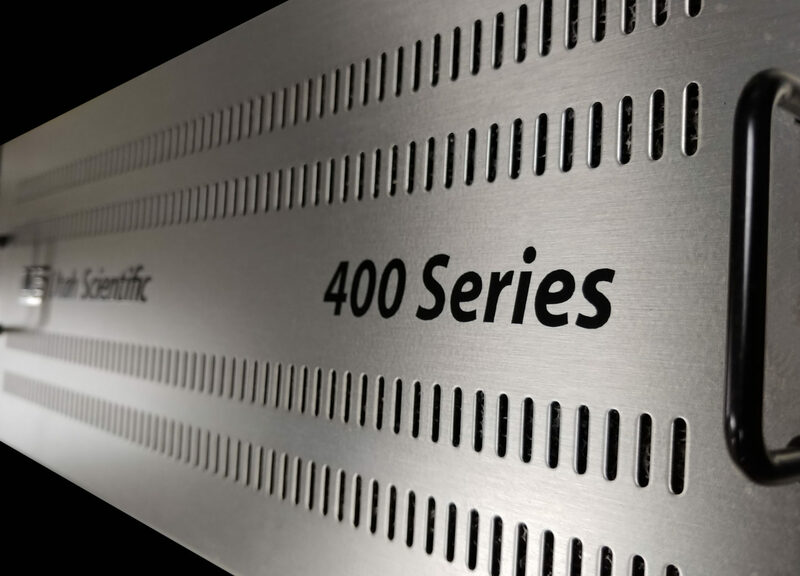 As with all other routers in the UTAH 400 family, dual power supplies are pro-vided as standard equipment. The UTAH-400/DATA router is controlled by the same MX-bus control system as all other UTAH 400 family devices. The I/O ports on the UTAH-400/DATA Router can be automatically configured by the control system to serve either Controller or Tributary devices. The configuration of any port can be dynamically changed by the control system to allow the switcher to seamlessly follow selections where a device’s control port may change between Controller and Tributary modes depending on the operations being carried out by the device. The UTAH-400/DATA Router’s I/O Connections are carried on RJ-45 connectors for easy cabling using standard data networking cables. The connector pin-outs follow the normal pattern for two-pair wiring. RJ-45 to 9-Pin adapters are available to simplify connecting to devices with 9-pin serial ports.